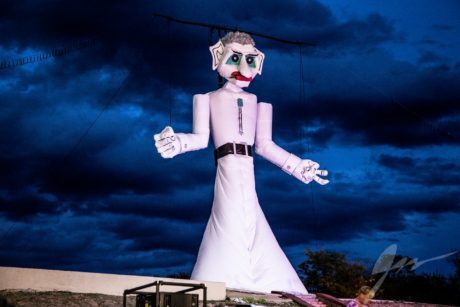 SANTA FE –- An annual tradition since the early 20th century, the burning of Zozobra during the Fiestas de Santa Fe is said to make all concerns and worries go up in smoke, giving everyone a fresh new start. 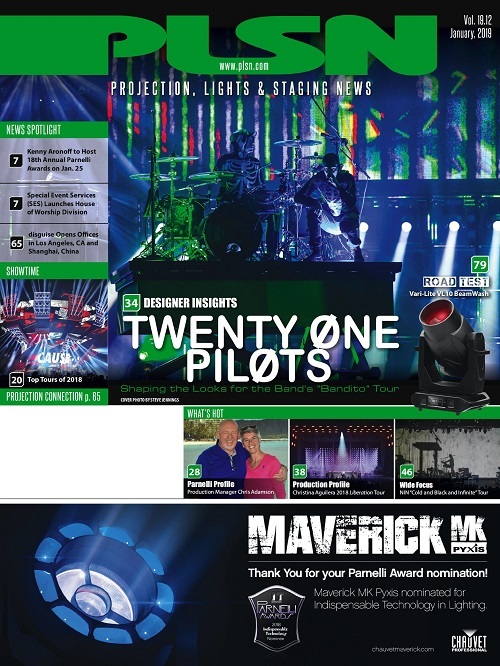 “Zozobra is all about burning gloom away,” said John Garberson of Creative BackStage, which lit the August 31st ceremony at Santa Fe’s Fort Marcy Ballpark and Magers Field with help from CHAUVET Professional Maverick and Rogue fixtures. This year, however, there was also plenty of gloom in the skies. 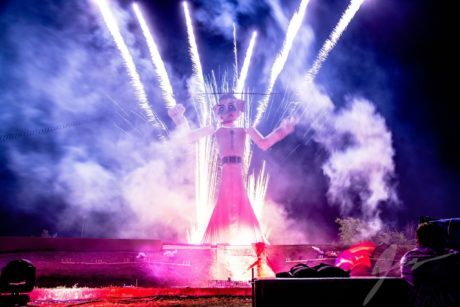 Severe thunderstorms pounded Santa Fe during the hot late summer evening, forcing organizers to move the burning of the 50’ high marionette effigy up by 15 minutes during a clearing between two storm cells. 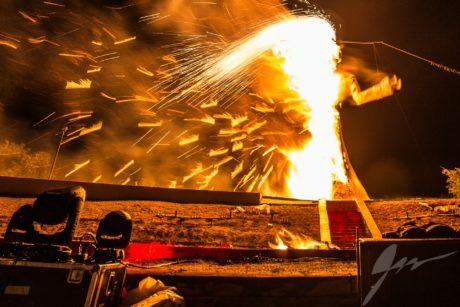 Still, “old man gloom,” dressed in 1960s hippie garb, went up in flames over a half-hour period before the 62,460 who had gathered in the park. 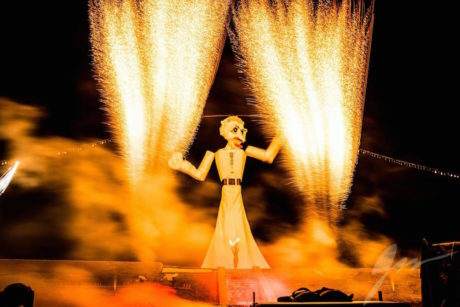 The inclement weather notwithstanding, the crowd got to enjoy not only the Zozobra burning, but a 40-minute ceremony that featured a fire dancer, ghouls, fire people with arrows and assorted other characters. 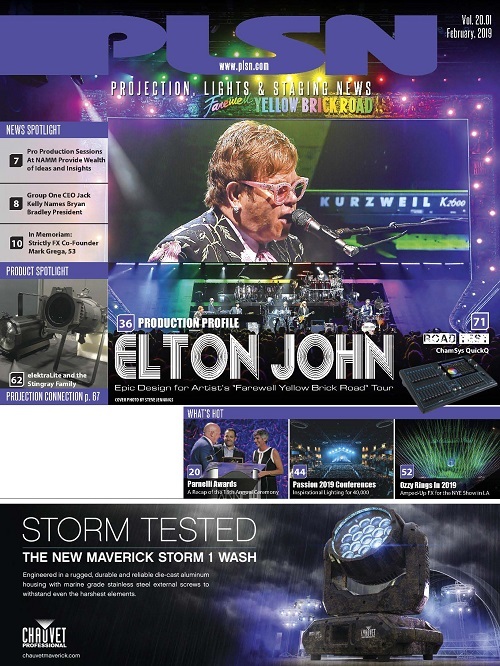 Like the actual burning of Zozobra, this entire spectacle was accented with appropriately intense colors (often varieties of red and dark purples) created by 10 Maverick MK2 Spot and 24 Rogue R2 Wash fixtures. 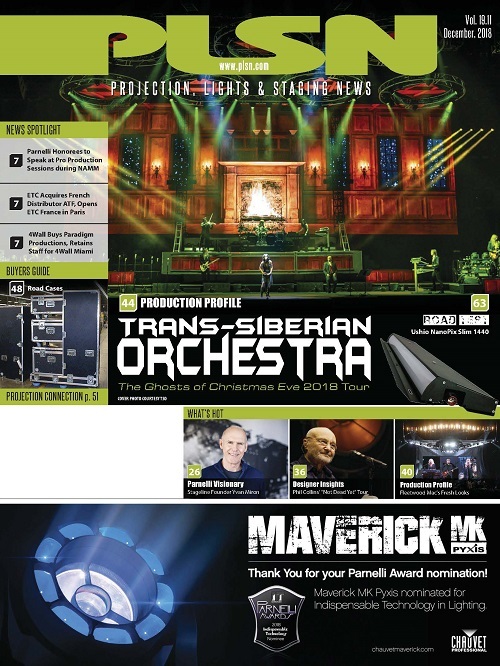 Garberson and his team, programmer Andrew Latimer and tech assistant Wes Webb, arranged the moving fixtures on 4’ high road cases that were spread 10’ apart on the stage. 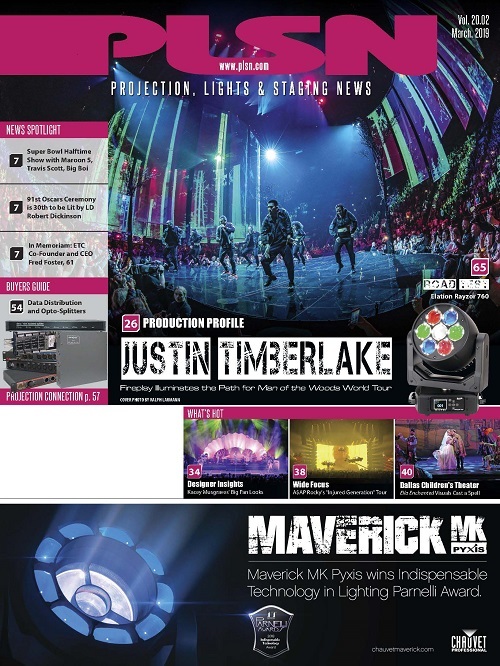 Each case had two Rogue units and one Maverick fixture. 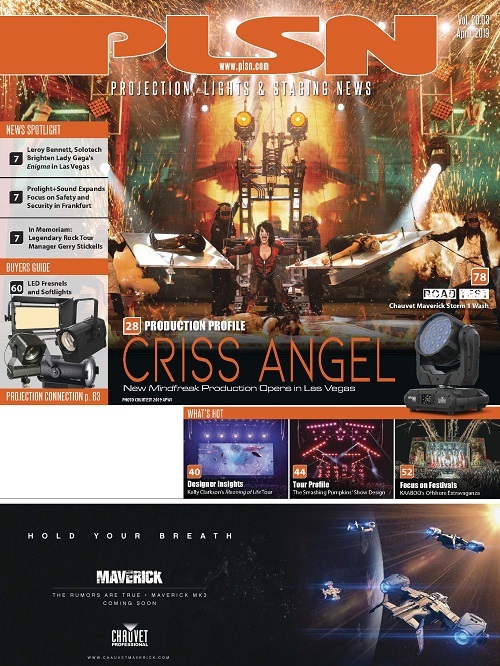 At each end of this line, there were two Rogue R2 Washes on 5’ truss for side lighting. That was no small accomplishment, considering that Garberson and his team had to compete against some pretty dramatic effects from Mother Nature.